Have you ever thought about where that week-old pizza goes once dumped in the trash? The answer is probably Pennsylvania. Unfortunately for them, PA is the number one importer of municipal solid waste and has been since 1992. Of all the US states, Pennsylvania has been hit the hardest with 23 percent of the nation’s waste crossing into its borders from 28 states including New York, New Jersey, Puerto Rico and Canada. Why Pennsylvania? Being more rural, the state has enormous amounts of available land. As opposed to the surrounding areas of urban New York and New Jersey, Pennsylvania has enough room to fit enough landfills the space needed to take in all of this trash. Pennsylvania’s numerous interstate highways have also made traveling from New York or New Jersey a long but easy trip for the waste until now. Historically, Pennsylvania has reported receiving more than 4.1 million tons of waste from New York State each year. PA residents generate only one third of that amount a year. Pennsylvania had to adopt a number of regulatory measures to address the negative impacts associated with their landfills calling into question the continuing ability of New York City to rely on Pennsylvania to meet its disposal needs. Further, a review of several mid-western and southern states found no large waste importing landfill, with excess permitted capacities, that could reliably meet New York City’s long-term disposal needs and with disposal costs rising steeply it seems imperative that the city address this issue before escalating costs significantly impact the city’s fiscal strength. So, for New York City to meet its disposal needs, it will likely have to either access landfills that are not currently accepting large volumes of out-of-state waste or create a more self-reliant process that mitigates dependence on outside interests and other states. The most cost competitive waste management solution will likely be a fully-integrated recycling and waste prevention program in which New York City integrates smarter long-term strategies that include on-site food waste disposal. Handling food waste at its source of generation and removing it out of the waste stream will provide New York City control over rising disposal costs by eliminating the transportation costs associated with reaching distant landfills. This plan would stretch out the life of Pennsylvania’s landfills, filling them slower and reducing the need for expansions while increasing New York City’s recycling rates which have been dropping. The flow of trash that is forced to come from out-of-state locations is placing a burden on both Pennsylvania and now New York City and soon those 27 other states. Pennsylvania is in a great position to drive the change needed, perhaps transforming them from The Garbage State to The Smarter State. 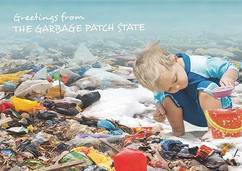 This entry was posted in Environmental Concerns and tagged Landfills, NYC Exports Trash, The Garbage State on August 26, 2013 by BioHitech America. An interesting story was broadcasted on npr (National Public Radio). BioHitech America believes that waste disposal is a controllable expense that, when properly managed, will result in significant bottom line savings and numerous environmental benefits, however, change in business goals and focus needs to occur first. A row of restaurants in the Cleveland Park neighborhood of Washington, D.C., looks tantalizing — there’s Vietnamese, Italian, New American. But if you walk around to the alley at the back of this row you might gag. Dumpsters packed with trash are lined up, and they get emptied only twice a week. Which means a lot of food sits here, filling the block with a deep, rank odor. Some of the dumpsters aren’t properly sealed, so grease and putrid juices are pooling beneath them. They may attract pigeons, rats, cockroaches, ants or flies, says Robert Corrigan, who runs the New York Rodent Control Academy. The academy trains restaurant workers on how to keep pests away. He says dumpsters filled with restaurant garbage are one of the main reasons pests are multiplying across the country. “Even a half a lemon that drops off a dumpster and rolls underneath a stairwell — tiny flies will lay hundreds of thousands of eggs on that half a lemon,” says Corrigan. Even when the dumpsters are emptied, the problem of food waste is just moved somewhere else. Dump trucks transport thousands of tons of food waste every day to landfills. That’s where food waste becomes Jean Schwab’s problem. Schwab says food waste from restaurants makes up 15 percent of all the food that ends up in landfills. And all that food doesn’t just take up space and attract pests — it’s also changing the climate. “Because it rots so fast, basically it starts to generate methane really quickly,” says Schwab. Methane is a greenhouse gas that’s 20 times more potent than carbon dioxide. And reducing methane emissions from sources like landfills is one of the Environmental Protection Agency’s biggest priorities in the fight against climate change. But in spite of the fact that as much as 10 percent of the food a restaurant buys ends up in landfills, hardly anyone in the restaurant industry gives it a second thought. Back in Cleveland Park, Logan Cox, executive chef of Ripple restaurant, says chefs obsess over the quality of their vegetables and their technique. They want to make sure everything looks and tastes just right. But food waste comes in low on the long list of priorities. “I’ve never taken the time to weigh or measure how much we do throw away,” says Cox. About three cents of every dollar consumers spend on food away from home ends up in the trash. And that doesn’t even include the food left on your plate or the slimy lettuce forgotten in the fridge. Chris Moyer of the National Restaurant Association says getting restaurants to focus on food waste is a big challenge. 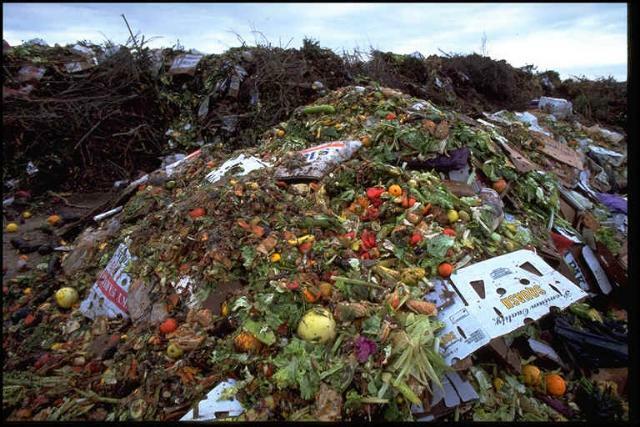 Food scraps, of course, are inevitable, but a lot of food waste is still edible. The hardest part for many restaurants may just be getting the workers to become aware of how much edible food they waste every day. A few years ago, when Moyer was managing a big chain restaurant, he wanted to show his cooks there were plenty of opportunities to reduce waste. So he took away the garbage can. But Moyer says getting the whole industry to take on food waste is going to take a lot of training and education — that’s what the NRA is trying to do with its ConServe program. And as we’ve reported, Unilever’s food division now has a program called United Against Waste. But habits are harder to change than the menu. This entry was posted in News and tagged Food Scraps, Food Waste, Landfills on November 28, 2012 by BioHitech America.